The KUDOS Ultimate2 range of 8mm glass shower panels, ideal for creating a innovative stylish shower enclosure. 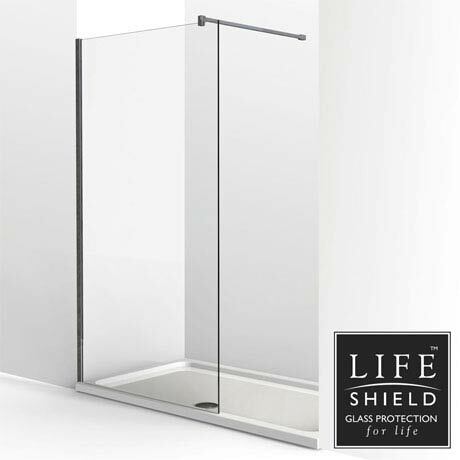 Bring a luxury modern look to any bathroom, all Kudos enclosures come with a lifeshield, a revolutionary finish that ensures the glass stays clean for longer and is far easier to clean. Enclosure comes supplied with a stone resin shower tray, waste and trap. The Difference is in the Detail: With attention to the smallest detail, ultimate2 products are high performance shower approved. A Lifetime of Quality: All ultimate2 shower panels are backed by the KUDOS Lifetime Guarantee.